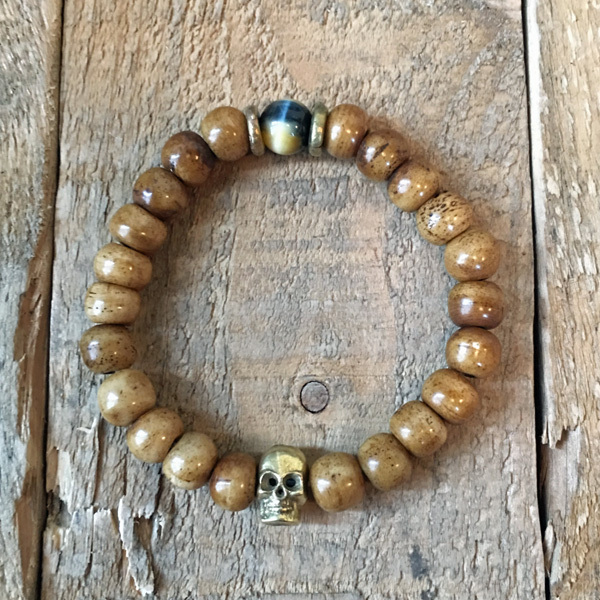 This men’s bracelet is made with natural oxbone, an African brass skull and spacers, and one blue tiger’s eye bead to add to this visual delight. 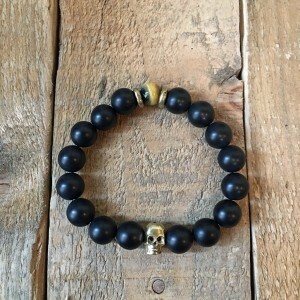 Manly enough for the toughest man, and stylish enough to show you are in-the-know, this bracelet is approximately 8 inches in inner diameter. Stretches to go over the hand.